One of the best aspects of Comics Alliance is the editors’ commitment to finding and promoting up & coming talent. Enter, Ivan Camelo, an artist from Bogota, Columbia who created some adorably cool versions of DC Heroes. 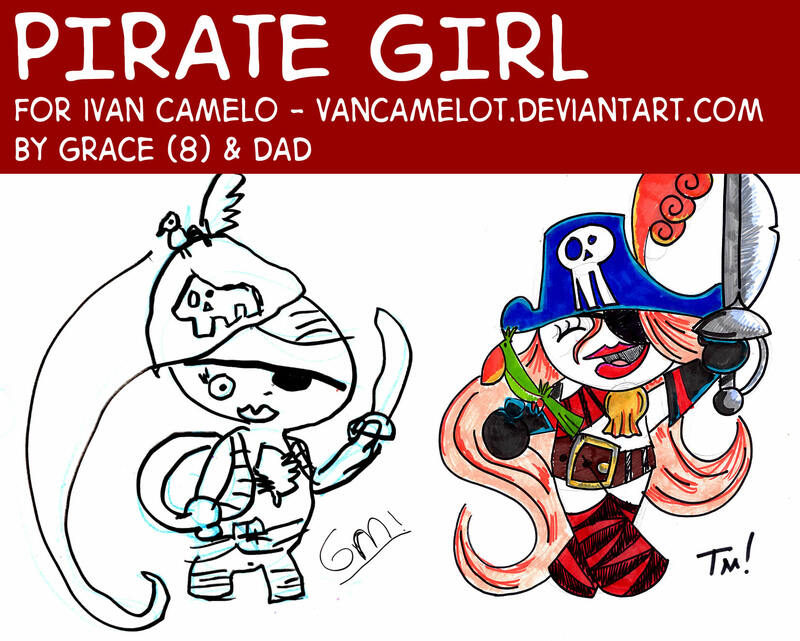 When Grace & I looked at his gallery on DeviantArt, we decided we liked his original pirate girl character best … and out the pencils, pens and Sharpie’s came! 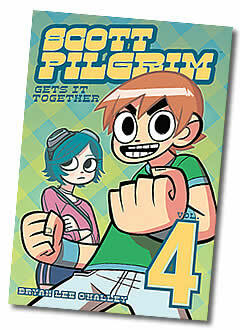 Scott Pilgrim & Ramona Flowers by Eden & Jason Garrattley! 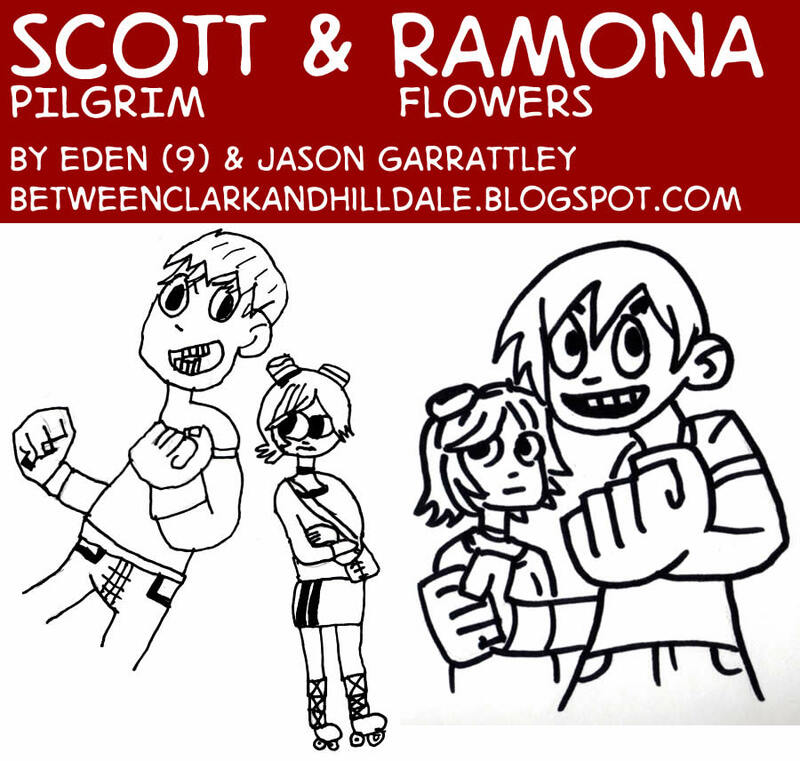 Grace and I got a very nice, little surprise over the weekend — these fantastic drawings of Scott Pilgrim and Ramona Flowers all the way from the UK by illustrator/designer Jason Garrattley and his nine-year-old daughter, Eden. Great stuff, guys! 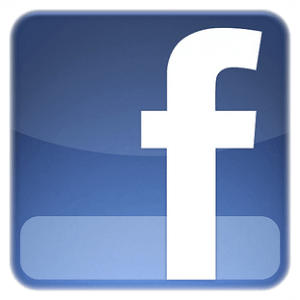 400th Post – Snoopy & Woodstock with the Z Kids! 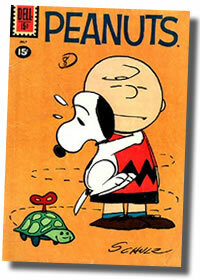 It’s hard to believe, but this is our 400th post on 5 Minute Marvels. It’s a been a long, but incredibly fun trip for us. 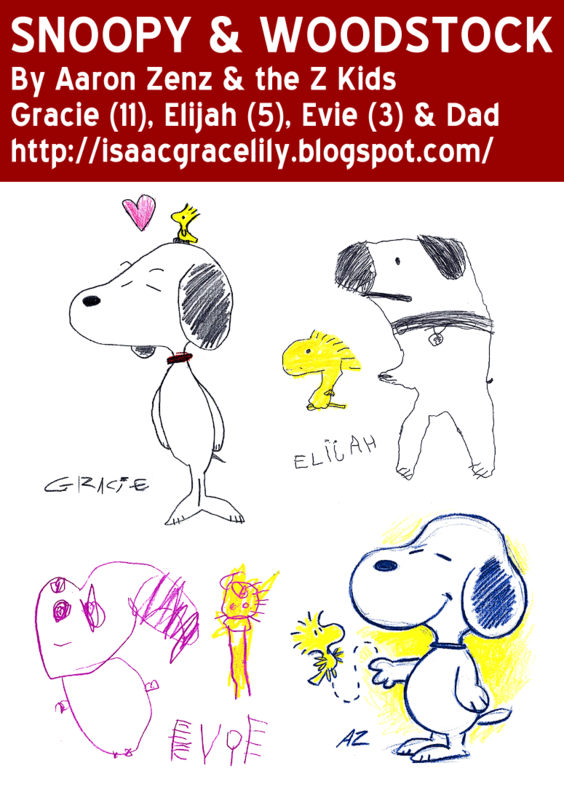 And, along the way, Grace, Cate and I have made many friends and drawn with some amazing artists. So, it’s very fitting that we draw tonight with children’s book author and illustrator, Aaron Zenz, and his talented children — the Z Kids. 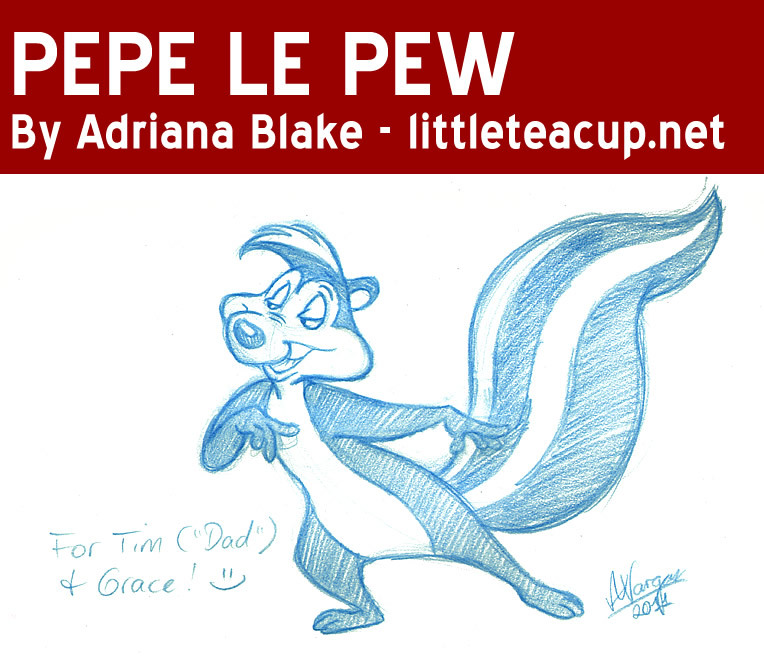 We were sadly unaware of their work until recently, but Aaron, Isaac, Gracie, Lily, Elijah and Evie have made beautiful art together for five years on their blog Chicken Nugget Lemon Tooty. And, they review children’s books together on Bookie Wookie. Fantastic stuff, guys! Keep it up. And, to celebrate the big 4-0-0, our drawing represents four generations – Grace and Cate, Grandpa, Great Grandma (AKA Diddy) and Dad. Here’s to 400 more! 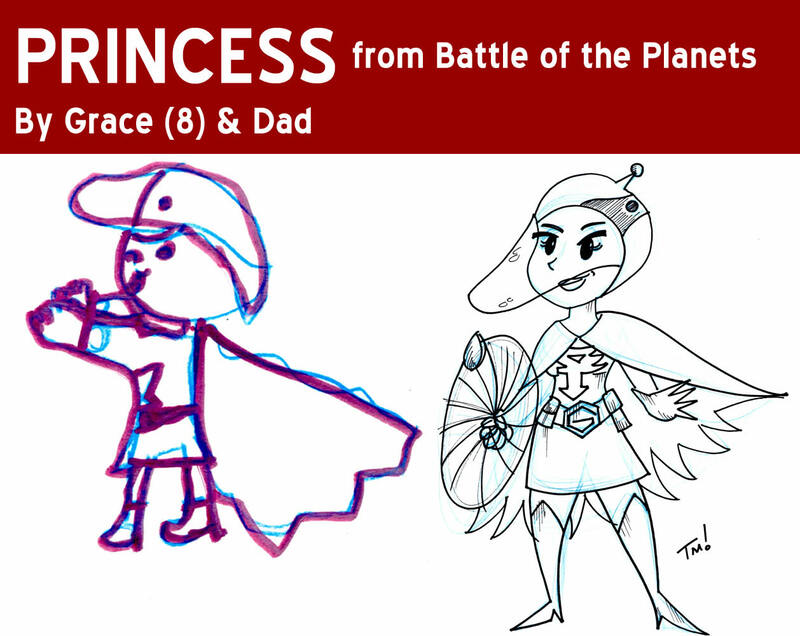 Princess from Battle of the Planets! Battle of the Planets/Gatchaman is the first show I remember loving as a child — making time to watch it, thinking about it, playing it in the backyard. From Voltron to Tranzor Z to G.I. Joe, Starblazers and Thundarr the Barbarian, there have been others, but you never forget your first. So, when I saw Thomas Perkins’ Tokusatsu & Kaiju drawing on Bristolwhip (http://bristolwhip.blogspot.com/2011/08/kaiju-tnperkins.html), my mind went rushing back and we chose to draw Princess. 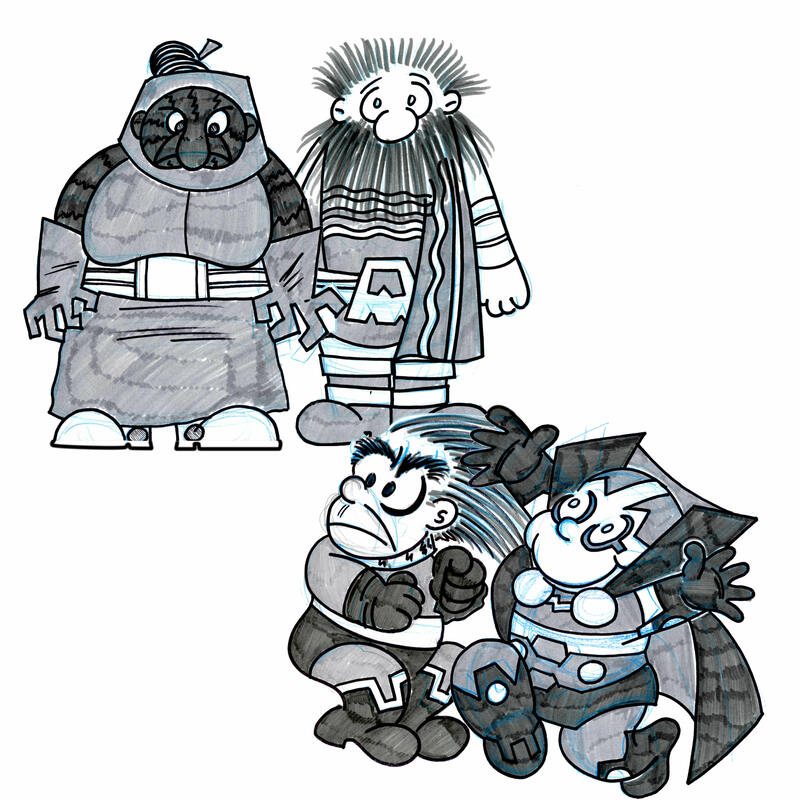 Recently, I’ve been having fun redrawing classic comic strip characters as comic book characters – Charlie Brown as MODOK and Nancy, Lucy and Little Lulu as Big Barda, Black Canary and Wonder Woman. 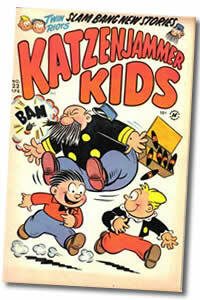 I’ve never read much of the Katzenjammer Kids, but the art is simply great and inspiring. 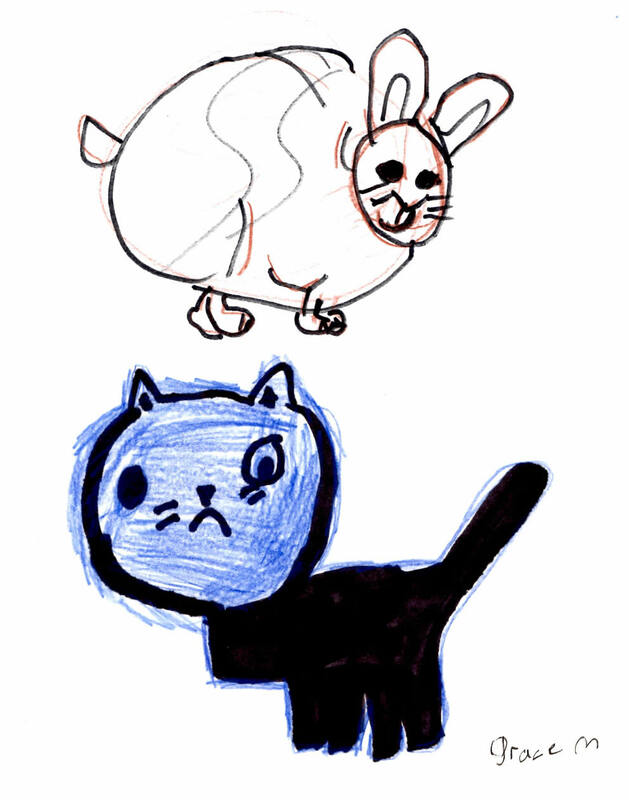 It’s not all superheroes & villans around the Miner household, here are some of Grace’s doodles, including a portrait of our cat, Snowshoe. Adriana is a Venezuelan-American illustrator living in Canada. She’s a fellow contributor to Womanthology and the creator of the webcomic Fall on Me. 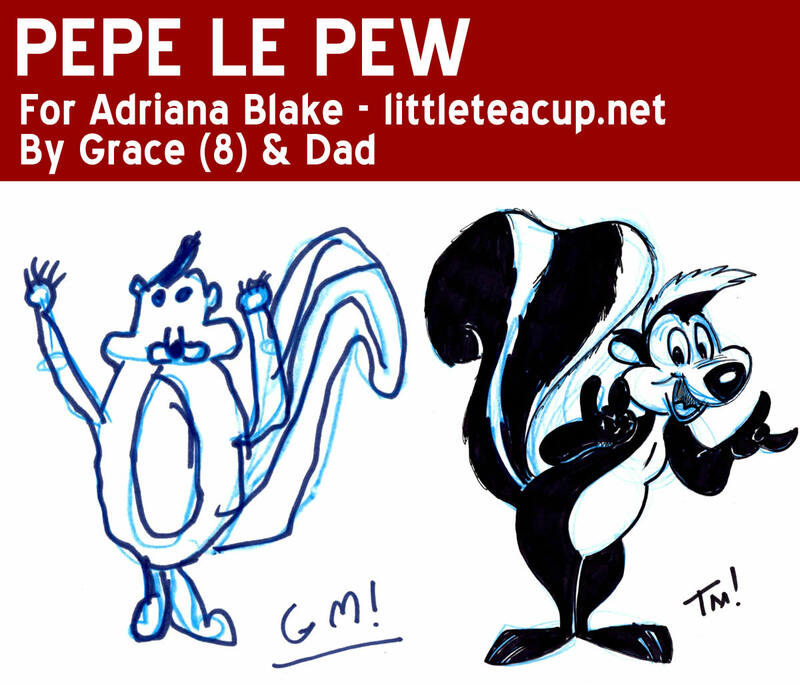 She graciously (and excitedly) agreed to sketch with us and made a fantastic selection in the Looney Toon, Pepe Le Pew.